While headlines focus on a growing division of Democrats vs Republicans, and business vs. government, Memphis is proving that a shared vision for a positive future unites a city – and its nonprofits – across stereotypical divides. 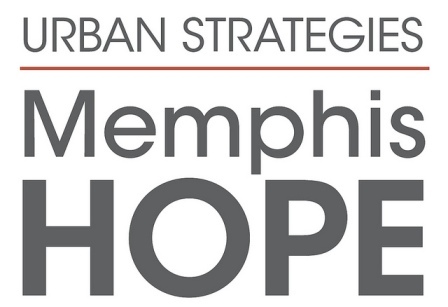 The power of collective impact is evident as business, government, nonprofits, the faith community and local residents partner and collaborate on strategic initiatives designed to move Memphis and the mid-South forward. Safety, economic development, health, housing, education, workforce development, and government efficiency have all improved over the past five years, and plans are in motion to build on the momentum. A few weeks ago Memphis Fast Forward, a city-wide collaboration, reported out on the progress made against their five year strategic plan. Take a look at a few of their results. Major violent crime down by 22.8%; major property crime down by 25.5%; Family Safety Center established for victims of domestic violence; new minority business receipts of $576 million generated; number of students in pre-K increased by 50%; City and county government efficiency strategies save $75 million; and more than 15,000 new jobs created. As consultants who work with non-profits across the country we are impressed. With so many communities seeking to improve the conditions of life for their residents – and seeking to improve their economies – Memphis is an example of how to move forward together as a community. No one agency, organization, business or sector can do it alone. Collaboration, deep commitment, resources, planning and will are required. When Memphis combines all these – with funding, oversight, and accountability – things happen. The key is bringing everyone to the table. 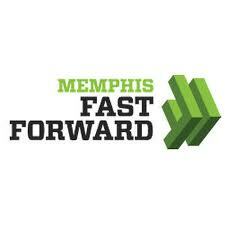 Memphis Fast Forward brought together literally hundreds of individuals and organizations. And this is only one example of partnerships that cross sectors. Memphis HOPE is another. In this case it was the Women’s Foundation for a Greater Memphis who took the lead in bringing together business leaders and philanthropists to fund services for public housing residents who were moving into new homes and communities. They raised $7.3 million in private funds to help the city secure $44.2 million in federal HOPE VI grants to transform the city’s public housing. And, as a collaborative, Memphis HOPE is now a nationally recognized model in how to provide case management services. What’s their secret? They listen to residents needs and help connect them with nonprofits – and government agencies – who can help. Memphis Fast Forward and Memphis HOPE are only two examples of local collaborations focused on positive social, educational and economic change. One thing they share in common is the engagement and leadership of nonprofits. Memphis knows these organizations are rich with relationships, local knowledge, and talent. They have experience testing and refining solutions to many of the issues confronting individuals, families and our community. The willingness of leaders to collaborate, try new approaches and engage nonprofits is one more reason why we love Memphis. This entry was posted in FUNdraising Good Times and tagged community engagement, leadership. Bookmark the permalink.